Green leafy vegetables are rich in folic acid, vitamin C and K, fiber, magnesium, and phytochemicals. They lower risk for cancer and cardiovascular disease. Those greens are also low calorie and low fat, so they’re excellent for weight management! But the average American diet doesn’t actually contain that many servings of leafy greens, so we need to bump up our daily servings! 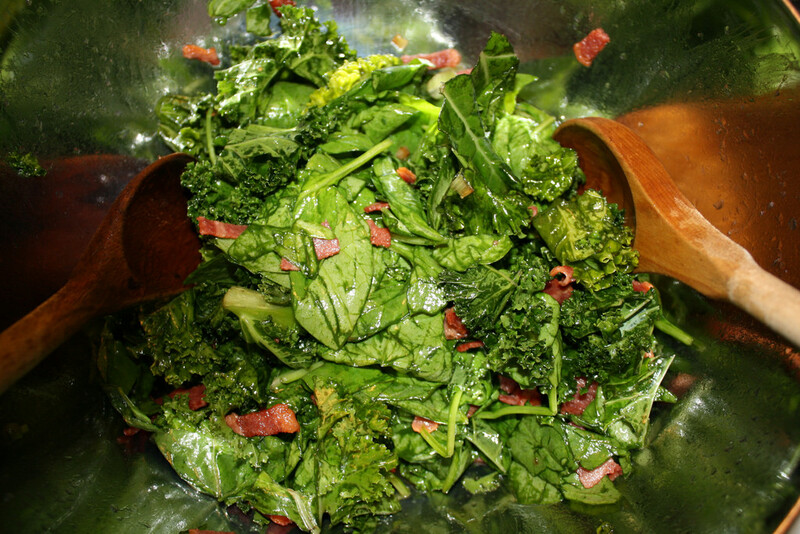 Here are some easy ways to add leafy greens to your diet, and remember- the darker the green the better! Load up sandwiches or wraps with spinach and lettuce. Your lunchtime favorites will taste fresher and be crisper. Add spinach to scrambled eggs and omelets in the morning. Make a salad for your main dish! Add other colorful veggies like bell peppers and carrots, grilled chicken, seeds, and even fruit like apples. Baked kale chips are crunchy dark green snacks! Add greens to your pasta dishes- layered with lasagna or tossed in ravioli. Lettuce wraps can replace tortillas when you’re eating tacos, or bread when eating sandwiches. Green smoothies! Any bitterness from vegetables in a smoothie can be countered with the sweetness from some fruit. Add more leafy greens to stir fry! Traditionally we just throw in some broccoli, but collard greens and spinach are tasty in stir fry too. Go to fillyourplate.org to hunt for our vegetable recipes online. During the winter, Arizona’s Yuma valley produces 90% of beautiful leafy greens for the rest of America. This entry was posted in Cooking, Diet Tips, Fill Your Plate, Food, Green Matters, Health Tips, Recipes, Vegetables and tagged diet, food, Healthy, Tips, Variety. Bookmark the permalink.